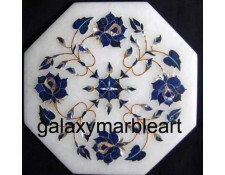 Marble inlay tiles inlaid with semi-precious stones from Agra, India made by our expert craftsmen with years of experience in the marble inlay art. 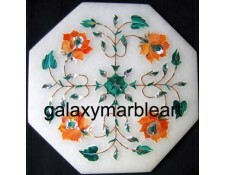 We make designs according to the order. 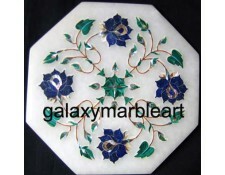 One design can be made in different color combination as per the choice of our customer. 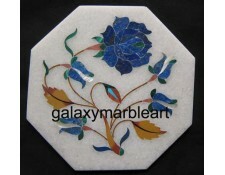 decorative marble inlay handicraft tile-TP-704,Agra,India..
Marble inlay tile inlaid with semi-precious stones with beautiful designs from our factory in Agra..